Bruce Davie is a former visiting lecturer at MIT, and a Principal Engineer at VMware. He joined VMware via the acquisition of Nicira, where he was Chief Service Provider Architect. Formerly a Fellow at Cisco Systems, for many years he led the team of architects responsible for Multiprotocol Label Switching and IP Quality of Service. He is also an active participant in the Internet Engineering Task Force and he is the past Chair of SIGCOMM. Prior to joining Cisco he was director of internetworking research and chief scientist at Bell Communications Research. Bruce holds a Ph.D. in Computer Science from Edinburgh University. 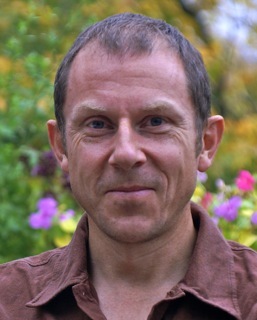 He was named an ACM Fellow in 2009. His research interests include routing, network virtualization, transport protocols, and software-defined networks. D. D. Clark, C. Partridge, R. Braden, B. S. Davie, S. Floyd, V. Jacobson, D. Katabi, G. Minshall, K. K. Ramakrishnan, T. Roscoe, I. Stoica, J. Wroclawski, and L. Zhang. Making the world (of communications) a different place. Computer Communication Review, 35(3):91-96, 2005. S. Kandula, D. Katabi, B. Davie, and A. Charny. Walking the Tightrope: Responsive Yet Stable Traffic Engineering. In ACM SIGCOMM, Philadelphia, PA, August 2005. B. Davie and P. Jacobs. Technical challenges in the delivery of interprovider qos. IEEE Communications Magazine, 43(6):112-118, June 2005. B. Davie, V. Florance, A. Friede, J. R. Sheehan, and J. E. Sisk. Bringing health-care applications to the internet. IEEE Internet Computing, 5(3):42-48, 2001. Y. Rekhter, B. Davie, E. Rosen, G. Swallow, D. Farinacci, and D. Katz. Proceeedings of the IEEE, 82(12):1973-1983, December 1997. P. Druschel, L. L. Peterson, and B. S. Davie. Experience with a high-speed network adaptor: A software perspective. In Proceedings of the SIGCOMM '94 Symposium, pages 2-13, Aug. 1994. D. D. Clark, B. S. Davie, D. J. Farber, I. S. Gopal, B. K. Kadaba, W. D. Sincoskie, J. M. Smith, and D. L. Tennenhouse. Computer Networks and ISDN Systems, 25(6):599-621, 1993. A host-network interface architecture for ATM. In Proceedings of the SIGCOMM '91 Symposium, pages 307-316, Sept. 1991. L. Peterson and B. Davie. Computer Networks: A Systems Approach. Morgan Kaufmann Publishers, San Francisco, CA, 4th Edition, 2007. B. Davie and A. Farrell. Morgan Kaufmann Publishers, San Francisco, CA, 2008. B. Davie and Y. Rekhter. Morgan Kaufmann Publishers, San Francisco, CA, 2000. B. Davie, P. Doolan, and Y. Rekhter. Morgan Kaufmann Publishers, San Francisco, CA, 1998. B. Davie, A. Charny, J. Bennett, K. Benson, J. L. Boudec, W. Courtney, S. Davari, V. Firoiu, and D. Stiliadis. An expedited forwarding PHB (per-hop behavior). Request for Comments 3246, Mar. 2002. J. Crowcroft, B. Davie, S. Deering, D. Estrin, S. Floyd, V. Jacobson, G. Minshall, C. Partridge, L. Peterson, K. K. Ramakrishnan, S. Shenker, J. Wroclawski, and L. Zhang. Request for Comments 2309, Apr. 1998. Ph.D. Edinburgh University, 1988; B.E. (Elec) Melbourne University, 1984 ; High school (Melbourne Grammar), 1980. From 2004-2010 I was President of the Greater Boston Track Club. I now run for West Valley Track Club in California.